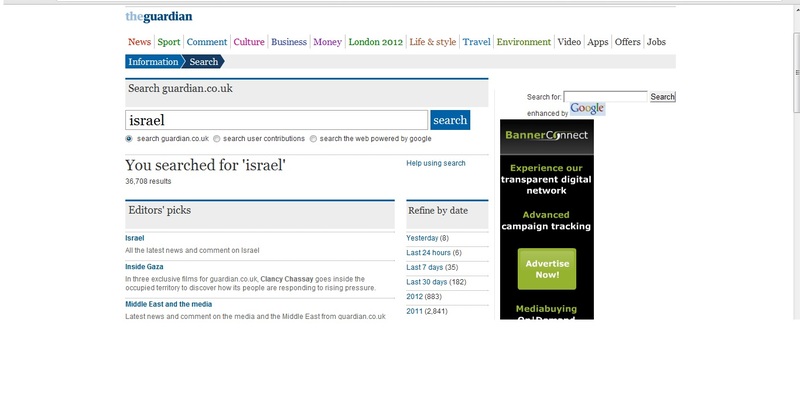 A CiF Watch reader has alerted us to the fact that on the Guardian website’s search page, entering the word ‘Israel’ brings up the following. First, we get the “Editor’s picks”, the second of which is a series of five year old films made for the Guardian – about Gaza – and over two years after the Israeli withdrawal from the Strip. Next come the “Most recent” articles. After that, the “Most relevant articles matching your search”. 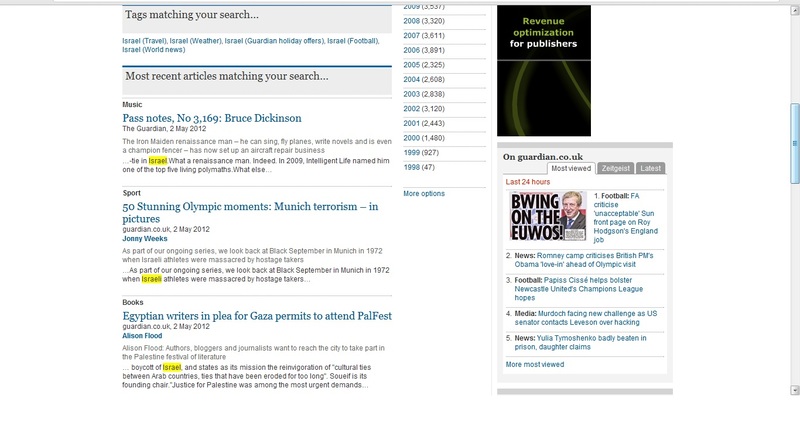 The “most relevant” that the Guardian search facility can come up with is a series of four to six year-old articles? Over to you, dear readers. 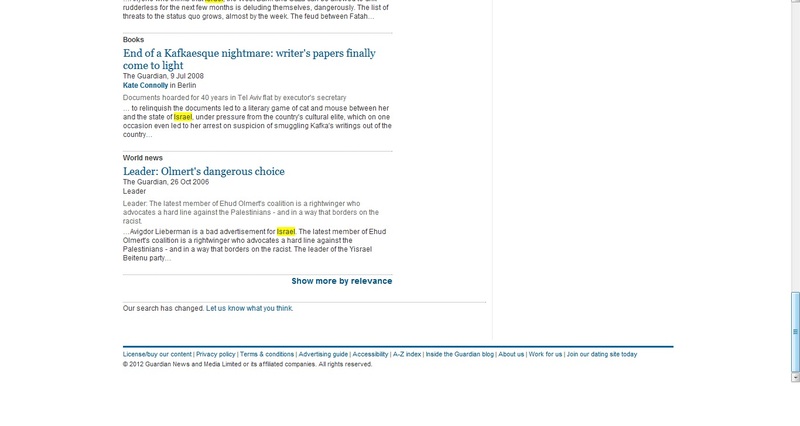 Perhaps CiFWatch could donate some more relevant and up-to-date articles to the Guardian, seemingly as impoverished as it is in this aspect as it is in others. A search for “Egypt” likewise delivers a bunch of articles from 2005 under “Most relevant articles matching your search”. What is the point of this piece? Guardian conspiracy alert?!? Whether it’s (as most likely) general incompetence or something else, it’s far from ideal. The relative relevance to Duvidl is that perhaps moderator Bella’s back in town (cue canned laughter).